Gyro, Rainbow Pizza, originally uploaded by schahn. A morning craving for a gyro sandwich led to a search session. The reviews suggested we try Rainbow Pizza, a Greek-Italian restaurant, tucked away in a valley among the San Mateo hills. 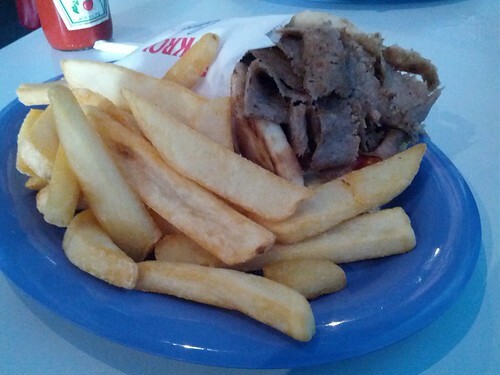 Good gyro, physically enormous menus. I think we’ll go back to try the pizza.